The personal history of the management of Sharp-aX in the computer industry goes back many years to the time when IBM was completely dominant in computer systems for all types of businesses. Other companies found that they had a competing opportunity in the industry by using punched cards and tapes within electro mechanical accounting machines, which have evolved into disk based systems. The companies with the biggest need for these systems were wholesalers and distributors. To the best of our knowledge that is the same position this century. It was an obvious decision to design and develop our own multi user system, based on our unrivalled personal experience. We introduced the Sharp-aX software, a totally modern system which incorporated all our experience. It includes up-to-date technology and the ease of use that comparable systems do not have. 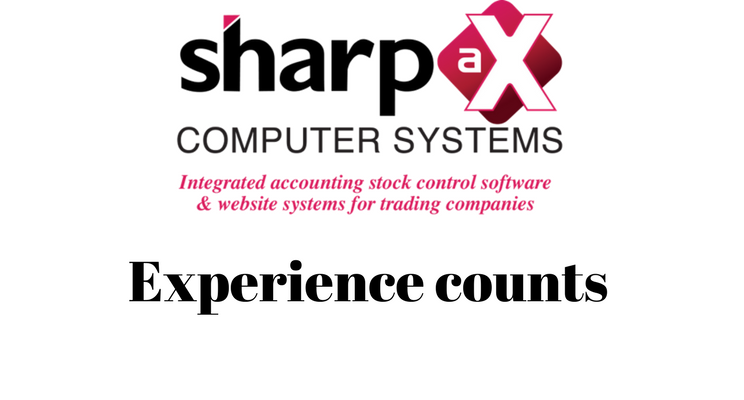 If you would like to find out more either email sales@sharp-ax.com or call 01442 505950.